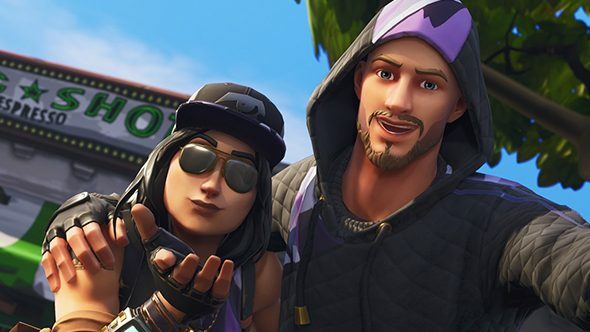 Fortnite’s first Summer Skirmish event happened this past weekend. To put it generously, things did not go as planned. Lag was bad enough to push camping as the only viable tactic, and the resulting performance issues and dull gameplay led to an event so boring it was cancelled after just four matches. This week, Epic offers a detailed breakdown of what went wrong. “It did not go as planned,” Epic says “but we definitely learned a lot!” A big part of the problem, of course, was server performance. Because of the conservative play in these matches, many more players were left alive toward the end, and there was more dense building than usual in the later stages. Plus, far more players than usual were sticking around to spectate. Drop in and gear up in the best battle royale games. So Epic wants to improve server performance in these situations, after lag halted the Summer Skirmish. “For example, when an explosion damages a large number of building pieces, and each piece needs to send that event to a large number of connected clients, we get a big spike in server CPU load. We have a lot of ideas about how to handle cases like this better, and are working on that right now.” The developers hope these improvements might also translate to modes like 50v50. Epic already said it plans to experiment with different formats over the weeks, and that begins with week two. That stage of the series will move to a public server format, where the performance of competitors will be tracked over the course of 10 games. Private match play will return in week three pending Epic’s fixes for server stability. Week two matches will run two days, on July 20 and 21, with different competitors each day. $1,000,000 will be on the line in this stage of the series. Epic’s set aside $100,000,000 for Fortnite esports, and the studio’s clearly in it for the long haul, taking this blog post to emphasize that it’s still a learning experience. That learning will certainly be frustrating for the players competing for these massive prizes, but hopefully Epic will have the kinks worked out in the next handful of rounds.